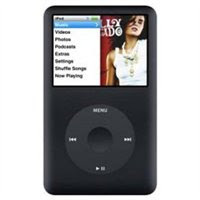 From November 26 to December 7, 2007, three pre-loaded iPods will be given away each day (36 iPods total) to website visitors who enter the giveaway! Each iPod pre-loaded with Over 80 Hours of Family Audio Entertainment! -- Adventures in Odyssey: A Christmas Odyssey-- Adventures in Odyssey: Christmas Classics-- Adventures in Odyssey: The Gold Audio Series #1-15-- Adventures in Odyssey: The Lost Episodes-- Including all audio bonus features from those albums (does not include CD-ROM bonus content from those products)-- Radio Theatre: A Christmas Carol-- Previews of other Adventures in Odyssey and Focus on the Family Radio Theatre audio dramas. The Contest is offered only in the United States and runs for 12 consecutive days, beginning on November 26, 2007, and ending on December 7, 2007. Be sure to bookmark this page. You can enter this contest daily!